Which is better? Search Engine Optimization (SEO) or Pay Per Click (PPC)? Well, there really isn’t a clear and simple answer to that question so let’s break it down into the most important elements and see which one would win in a fight. Both SEO and PPC can deliver a significant amount of traffic to your website. With SEO you can effectively optimize your site for about 3 to 5 keywords, whereas with PPC you can advertise on an unlimited amount of keywords. However, the traffic you receive to your site will depend on how many times a keyword is searched, so 3-5 high traffic keywords could deliver more traffic than 1000’s of lower traffic keywords. In order to obtain those high traffic keywords with SEO, it can take time – sometimes up to 6 months or even a year. With PPC you can have traffic immediately, you’ll have to pay for it, but you can get clicks right away. PPC will allow you to advertise on several low traffic and high traffic keywords. SEO can’t really do this effectively, as you need to remain targeted on those 3-5 target keywords. Also, with PPC there is an opportunity to show your site on several related websites by using the content/display network. On the content/display network you can get cheaper traffic and you can advertise directly to your target demographic on the sites that they visit. One thing that SEO definitely cannot do is target effectively. PPC can deliver highly targeted traffic from the location, device (mobile, tablet, or computer), date/time, and the amount you want to spend. PPC also offers the ability to turn traffic on and off, which is a great feature for seasonal businesses and for growing companies that don’t want to be overwhelmed with new business. PPC essentially gives advertisers a volume button for the traffic they want to receive. 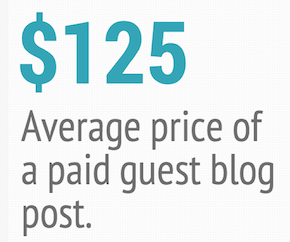 It’s not easy to nail down the actual cost of SEO because of all the variables involved. With SEO you’ll need to consider the cost of the keyword research needed to attain a decent ranking for a high traffic keyword that is realistically obtainable, the cost of making the website changes and any off-page factors that might dramatically affect the results. You’ll also need to consider any ongoing costs that will be required in order to maintain your ranking. PPC will require you to take the time to set up a campaign, doing all of the keyword research, ad text creation, strategy, etc. But, on top of that you’ll also need to pay for the traffic to your site and the ongoing maintenance and work required to ensure that you don’t over spend and that your campaign remains profitable. PPC needs to be managed very closely and optimized often in order to be successful, so there will be ongoing costs involved. With both SEO and PPC your competition will greatly affect your costs. If there is a keyword that’s worth receiving traffic from there will definitely be competition. For SEO your competition will make it more difficult to rank well and they’ve already got a head start, since they already rank for those keywords. Also, the more competition there is with SEO, the longer it will take to obtain your desired results. With PPC your competition will drive up your click prices and make your advertising costs rise, which will hurt your profitability and require you to put more effort into your campaigns in order to improve your quality score and conversion rates. Both SEO and PPC will allow you to review your statistical data, right down to the keyword, click, conversion, website referrer, etc. While this type of analytical data isn’t uncommon with online marketing, it is a unique feature compared to traditional offline marketing. When an advertiser purchases a print ad or billboard ad there’s no effective way of measuring the effectiveness of that ad. An advertiser may notice an increase of traffic, but there’s no statistical information to prove that it was a result of the print or billboard ad. Online you can expect to know exactly what works and what doesn’t. 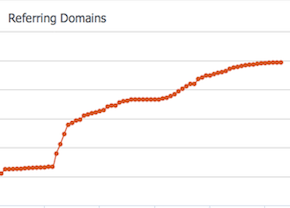 It’s even possible to know which keyword delivered which customer. For analytics, the one advantage that PPC has over SEO is the option to optimize your landing pages and build your page for conversions, not information and content. Yes, you can optimize pages for conversion with SEO, and you definitely should, but, PPC allows you to create a conversion funnel where you can move the user towards a sign up, sale, or download. You can limit the amount of content and focus the user on the call to action and sell the more effectively. In fact, you can customize the pages based on the source of traffic or keyword. But, the key metric that you can manage and improve is your conversion rate and you do this by testing landing pages in order to find the optimal landing page layout and design. Regardless of whether you use SEO or PPC, or both, what you really want is results. Both types of marketing are very effective at delivering results, but there are differences in their delivery. SEO provides results, but sometimes those results take time; in fact, they can take up to 6 months or even a year in some cases. However, once you’ve achieved those results you will continue to maintain that position for a long period of time, which helps your brand and delivers you ongoing value for some upfront costs. Another benefit of SEO’s long term results is that it will strengthen your brand over time and other sites will link to yours, increasing traffic and your ongoing SEO results. The advantage that PPC offers is immediate traffic and immediate results. You can find out right away what keywords lead to sales and which don’t. The trade-off is that if you decide to stop your campaign you will also immediately halt your traffic and you won’t receive the ongoing benefits that SEO delivers. PPC can also help your brand, especially when you rank highly in the natural results, as well as appearing as an ad on the PPC side. When it comes to conversions, both SEO and PPC deliver similar results and one does not necessarily consistently out-perform the other. Okay, there is no winner and there is no chicken dinner, sorry. Unfortunately, comparing SEO to PPC is like comparing apples to oranges, their both fruit, but they look, feel, and taste very different. With any search engine marketing campaign, an advertiser needs to take a look at their specific needs and goals. What is it that you want search engine marketing to do for you? Then the advertiser needs to consider the options, and determine whether SEO, PPC or both will be most likely to meet their desired goals.